A cyclist who answered a call of nature in Glenarm yesterday returned to discover his bike was missing. 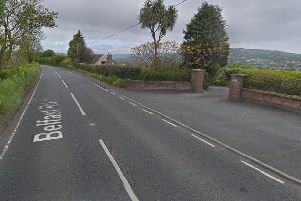 PSNI Larne said that the cyclist had stopped at the public toilets at Straidkilly Road, opposite the cemetery, at 3.50 pm, on Sunday and when he returned, the bike had disappeared. The bicycle has been described as black with white writing saying “s works”. If anyone can offer police any assistance with their inquiries, they are asked to ring 101 or Crimestoppers on 0800 555111 quoting ref 832 07/10/18.